How would you like to have fun with snowballs regardless of whether or not you have to don a coat and hat to do so? 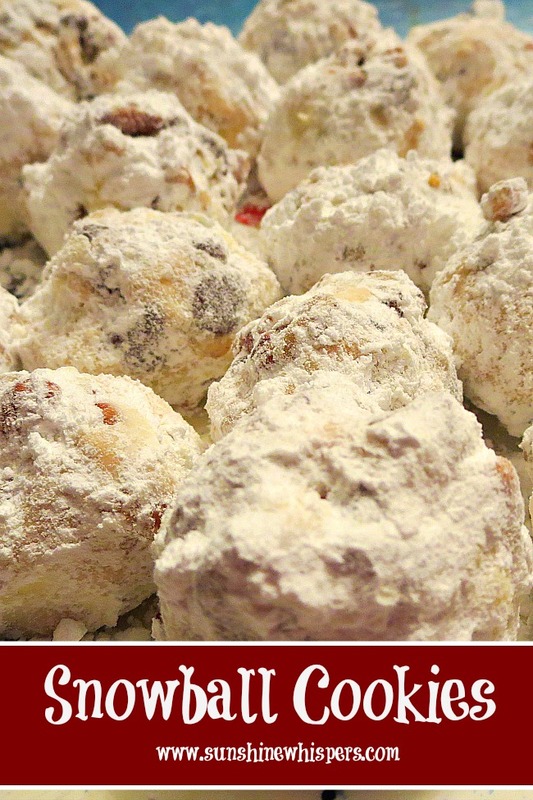 Well, try out this classic Christmas Cookie Recipe and your taste buds will certainly warm up to the holiday spirit! 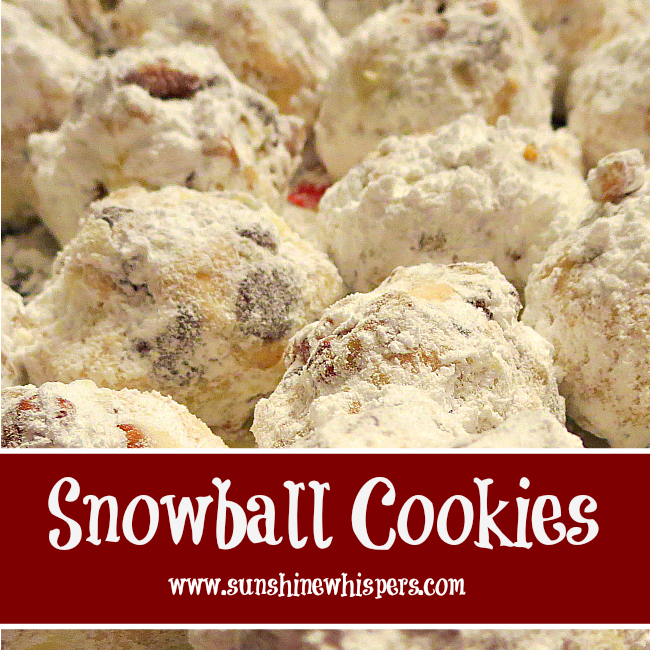 Growing up, one of my family’s go-to Christmas cookie recipes was the Snowball cookie. They are small but super rich.. chock full of chocolate chips, nuts, and coated with confectionary sugar. Perfect for Christmas! Combine first 5 ingredients. Blend well. Stir in flour and chips. The mixture will look like small coarse, pebbles. It is supposed to look like that. Don’t over mix it. Form into small balls, about 1″ diameter. Roll in walnuts, pressing the walnuts into the dough. 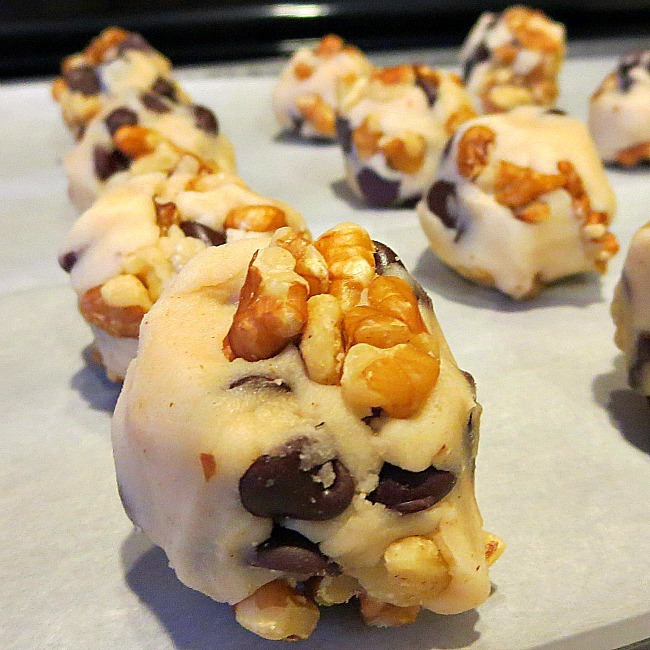 Place on parchment paper lined cookie sheets. When you take the cookies out of the oven, roll them in confectionary sugar while they are still warm. You wouldn’t think a dense cookie like this would taste so good but really, they are utterly delicious! What Christmas cookies do you love to bake? I would love to hear about your favorites! Thanks for stopping by and happy holiday baking! Previous Post: « Women Encountering Jesus: So What Does God Really Think About Women?